The Leadership of the Extreme and Dangerous for Innovative Results (LEADIR) project, funded by The Department of Homeland Security, Science and Technology Directorate, Office of University Programs (DHS S&T OUP) since 2010, uses an industrial and organizational psychology approach to assess the characteristics of violent extremist organizations (VEOs) in relation to their capacity for innovative and violent performance. In the current paper, we use the LEADIR database and an internal strategic organizational approach to assess the unique set of resources and capabilities that provide a competitive advantage within the “Jihad Industry.” The results suggest that VEOs ability to utilize or acquire one or more unique resources or capabilities provides a competitive advantage over other groups in the larger Jihadi Industry. We will discuss practical implications for DHS I&A, as well as the methodological contributions of using a lens from management theory and organizational psychology to the scholarship on violent extremism. While the amount of research on violent extremism has increased since the terrorist attacks on September 11, 2001, only a handful of studies have delved into the complexities of violent extremist organizations.1 Broadly speaking, violent extremist organizations (VEOs) are coordinated efforts among individuals that share a similar ideological framework and employ violence as a means toward a collective goal.2 In terms of their sophistication, VEOs can range from relatively simple (e.g., Animal Liberation Front) to highly complex organizations (e.g., Da’esh). Regardless, VEOs are marked by a shared ideology as well as common organizational goals that are necessary for the group’s survival such as recruitment, fundraising, training, and disseminating information. In the current paper, we use models from industrial and organizational (I/O) psychology and management to examine ten VEOs with a foothold in the “Jihadi Industry.” More specifically, we use the Leadership of the Extreme and Dangerous for Innovative Results (LEADIR) project to gain insight and differentiate VEOs relative to their peer organizations in terms of capability, resilience, and attractiveness. We performed a Value, Rareness, Imitability, Organization (VRIO)analysis3 to assess each VEO’s unique set of strategic resources (e.g., cyber infrastructure) and capabilities (e.g., tactical innovation) that provide a competitive advantage among their industry peers. The robust nature of using an organizational approach to examine and differentiate VEOs. In particular, this approach may prove useful for agencies in identifying high versus low risk threats, and allocating resources to combat those threats. A novel approach to gather, quantify, and compare the cyber capabilities of VEOs. While prior research on VEOs’ use of cyber has focused solely on descriptions of use of publicly-available social media platforms (e.g., Twitter, YouTube) or encrypted forums, our contribution is that we systematically analyzed what cyber innovation means in the Jihadi Industry by assessing the underlying behaviors facilitated by their use of an array of platforms and web-based features. Da’esh leads the Jihadi Industry on all performance metrics, but they have been significantly degraded since 2014. Examining their cyber presence, our data shows less collaboration across domains and fewer durable cyber objects produced since the end of 2015. Thus, using organizational metrics such as collaboration in both physical and cyber space can provide CT professionals with a unique metric for the effectiveness of capturing digital terrain and degrading the organization. Al Qaeda in the Arabian Peninsula (AQAP) and Jabhat Fatah al-Sham (JFS) (formerly al-Nusra Front) are only second to Da’esh in terms of organizational legitimacy efforts, leadership and human capital, and fundraising. Similar to Da’esh, AQAP’s long-term tenure within a turbulent environment (e.g., Yemen) has created an efficient, legitimate, and sophisticated organization profile. Likewise, JFS has effectively played on the grievances of the Sunni populace by branding themselves as a viable group that is different from Al Qaeda Central. The method of examining organizational capacity can provide an early warning indicator of growing strength for emerging threats. Despite over a decade of international pressure, Lashkar-e-Taiba (LeT) continues to operate with impunity in Pakistan. In turn, LeT is one of the most effective VEOs at fundraising in the Jihadi Industry. Fundraising as a sustained advantage for LeT is concerning and should be closely monitored given the establishment of al Qaeda’s new affiliate in the Indian Subcontinent. Abu Sayyaf Group (ASG) and, to a slightly lesser extent, Al Qaeda in the Islamic Maghreb (AQIM) performed poorly across most indices in our analysis. In-fighting between high-ranking members of each organization as well as successful counter-terrorism operations have diminished the capacity of each group. ASG and AQIM are the least likely to acquire the resources to sustain a competitive advantage compared to the other organizations in this analysis. In the following section, we provide an overview of the methodology used for this study as well as a more in-depth discussion of our findings. This project employed a historiometric methodology in order to evaluate the strategic and comparative threat posed by VEOs within the Jihadi Industry. Following best practices4, we defined the sample that would provide the best comparative attributes to evaluate some of the most prominent VEOs within the larger framework of high threat VEOs. After identifying the sample, we gathered data from primary and secondary sources, evaluated the organizations in our sample using the LEADIR content coding scheme and indices of technical capabilities and sophistication.5 Finally, we conducted analyses to identify organizational attributes and resources that differentiate certain VEOs and their competition in the Jihadi Industry. Figure 1 provides a visual representation of the methods used for this study. We partnered with three government-civilian subject matter experts (SMEs) familiar with the Jihadi Industry to select key VEOs whose ideology is centered on Salafist conceptions of Jihad. Specifically, we focused on Da’esh and its affiliates as well as affiliates of al Qaeda Central (AQC). Given that Da’esh was formerly an affiliate of AQC, this was considered the most appropriate sample for comparison, because by virtue of forming those alliances (with the exception, perhaps, of AQAP), the ideology, tactical operations, and targeting preferences of the affiliates were shaped by AQC. Table 1 highlights the ten VEOs being examined. To gather information about these organizations, secondary data were gathered from academic and government sources (e.g., profiles and data from the National Consortium for the Study of Terrorism and Responses to Terrorism (START), Southern Poverty Law Center, Mapping Militant Organizations by Martha Crenshaw) as well as scholarly case studies and public-records databases (e.g., Lexis-Nexis). In some cases, we triangulated these secondary sources by using source-verified primary documents from the organizations themselves, such as manuals, propaganda, videos, and websites run by the organizations to cross-reference information found in archival, analyst reports (e.g., START resources). The attack-level data in this study were drawn from the Global Terrorism Database (GTD). Rather than simply assessing lethality as an indicator of performance, we performed a stratified random sample of each VEO’s attacks as reported by the GTD and applied an innovative coding scheme to each one7. In total, 27 rating scales were applied to 1,441 attacks across the ten VEOs in our sample. To assess cyber sophistication and expertise, we collected and analyzed web material associated with each VEO. The data was collected through a combination of “key word” searches and the utilization of an automated web crawler. After collection, the cyber data were evaluated by technical SMEs to determine the sophistication of the resources and expertise that would be required to produce them. For example, webpages that had multiple indices of encryption capabilities were evaluated as more sophisticated than those with fewer security parameters deployed. To compare the ten Jihadi Industry VEOs, we used a VRIO analytic technique, or a technique that evaluates the likelihood that an organization will obtain a sustainable advantage based on its resources.8 Competitive advantage references an organization’s ability to create more value than its rivals, and requires SMEs to assess each VEO’s resources on 1) their value, b) rarity, c) inimitability, and d) the degree the other resources in an organization are organized effectively to take full advantage of that advantage. Organizations possessing only valuable resources and capabilities are expected to perform the same as all other organizations in the industry (i.e., competitive parity). Organizations possessing valuable and rare resources and capabilities are expected to perform better than other organizations but only for a short period of time (i.e., temporary competitive advantage), while organizations possessing valuable, rare, and imperfectly imitable resources and capabilities are expected to demonstrate a long-term advantage (i.e., sustained competitive advantage). Imperfect imitability of a resource or capability was determined by the presence of one or more of the following attributes. History – The focal resource or capability was acquired at a particular place and time in the past. Competing organizations are unable to imitate that resource or capability because they are operating in a different place and time (e.g., senior military leadership of ISIL who came from Saddam Hussein’s regime). Causal ambiguity – Competing organizations are unable to imitate the focal resource or capability because of its complexity, tacit, and/or intangible attributes (e.g., social media and cyber sophistication). Social complexity – Competing organizations are unable to replicate the focal resource or capability due to its presence within a sectarian conflict that has its own magnetism (e.g., public discontent with the Assad regime). The overall organization (i.e., its structure) must also be aligned in such a way as to take advantage of the resources or capabilities in question. If misaligned, competitive disadvantages may emerge even though resources and capabilities are valuable, rare and difficult to imitate. VRIO analyses evaluate the likelihood that an organization will obtain a sustainable advantage in a given competitive arena. Sustainable competitive advantages are assumed to originate from the resources and capabilities controlled by the organization. Resources represent the tangible and intangible assets controlled by the organization. Resources can be financial (e.g., cash), physical (e.g., equipment, natural resources), human (e.g., knowledge, intelligence, training, creativity) and organizational (e.g., reporting structure, culture, planning and control mechanisms). For the present effort—building upon the findings from our 2014 report on the VRIO of Da’esh compared to its competitors—we assessed each of the ten VEOs in our Jihad Industry sample on six resources: (1) Marketing and Branding, (2) Recruiting and Human Capital, (3) Fundraising, (4) Tactical Innovation, (5) Cyber Sophistication, and (6) Cyber Interactivity. The subsequent sections provide more justification and detail into each VEO’s differentiators. Figure 2 shows the overall findings from our VRIO analysis. In the following sections, we describe the subsections of the VRIO analysis in more detail as well as provide illustrative examples of high-and-low performance. An organization’s brand can be described as its personality. Like individuals and other firms, each VEO has a unique personality that is shaped by the VEO itself and the consumers of its products. A branding and marketing strategy can be understood as complementary components to an organization’s outreach. The brand is the representation and staple of the organization, while marketing is comprised of the behaviors the organization undertakes to sell its brand. In other words, marketing behavior is how an organization sells its brand or its personality. VEOs, like other organizations, put forth effort to establish themselves as a unique brand within the terrorism field and therefore engage in similar strategies like traditional firms, such as the production of media favoring the brand. For this analysis, we used two measures of reputation and prominence to gauge the effectiveness of the marketing and branding of the ten VEOs. An organization’s brand is largely built in the relative reputation or status that organization has. This status can be understood as how popular or well-known a certain organization is within its industry. In our analysis, this industry would be the “Jihad Industry.” Therefore, we used cultural and comparative reputation to measure the degree to which each VEO compares in status against other organizations within the industry. Prominence is a multiplicative index measuring both the level of co-branding and external legitimacy of an organization. The degree to which an organization allies or “co-brands” with another brand increases the performance and prominence of the organization and influences the relative understanding of the brand. For example, co-branding allows for two organizations to make use of the brand of the allied organization to further increase the prominence of its own brand and add to the relative performance of the other brand. This co-branding often leads to an increase in customers and resources because both brands can make use of the resources of the other brands. Meanwhile legitimacy is a measure of the degree to which an organization follows the rules of industry and is an indication of how the group is regarded as a “professional” within its field. High AQAP AQAP’s Inspire magazine is one of the flagship English-language jihadi publications and is one of many propaganda magazines AQAP publishes. These publications are not only used to recruit, but also shape potential sympathizers and supporter’s attitudes and perceptions of the group. Low Abu Sayyaf Group In 2014, one of Abu Sayyaf Group’s core leaders pledged allegiance to Da’esh. Despite this oath of allegiance, no credible link between the two groups has been found. Given the decline of Jemaah Islamiyah and their weakened relationship with al Qaeda Central, ASG lacks a clear linkage to the most prominent organizations in the current Jihadi Industry. Like most organizations faced with increasing competition and growing external pressures, VEOs have realized that they too must evolve to meet emerging challenges. The current iteration of violent extremist organizations (VEOs) such as Da’esh, Al-Shabaab, and AQAP have been particularly successful at perpetrating violence and spreading fear through innovative means such as the utilization of social media and web-based platforms. The sampled VEOs are adept at building their ranks through a combination of both time-tested and increasingly novel personnel attraction and selection mechanisms. The importance of knowledge about social, personal and economic factors for recruitment, as discussed above, is reinforced by research both on the nature of VEO propaganda. Zelin9 analyzed Da’esh social media output and identified that alongside promoting their military-related activities, the group highlighted their social services as well as “the great life one can live under the Caliphate, especially by foreign fighters.” Other VEO media seek to show their familiarity with western culture to attract western members; for example, posting pictures of fighters with Nutella jars.10 Da’esh spends significant energy presenting the view that they are active and on the march. Moreover, when communicating to potential recruits from the West, Da’esh has images that showcase both their military prowess and highlight their organizational legitimacy as well as couch pragmatic advice about travel and operations in ideological imperatives. This mix of pragmatic advice, ideology, and organizational legitimacy creates a powerful brand to influence potential recruits.11 In LEADIR, we assess the techniques VEOs use to increase their human capital. Following from how recruitment is assessed in conventional organizations, we rate each VEO’s tactics in terms of their novelty (degree of surprise or uniqueness in a given region and time), diversity (number of different types of techniques), and overall effectiveness (degree to which the recruiting strategies yield a viable pool of skilled members). High Da’esh Until recently, Da’esh has been able to recruit an array of specialized recruits to the caliphate. Da’esh success in recruitment is largely due to their novel use of social media and other peer-to-peer cyber technologies. Low AQIM AQIM primary targets low-skilled recruits through their regionally-focused, anti-colonialism propaganda. Despite operating their own media-wing, Al-Andalus Media, AQIM is said to lack the sophistication to recruit globally, outside of the Sahara and Sahel region of Northern Africa. While it is difficult to assess the true wealth of any clandestine organization, LEADIR does have data to speak to the novelty of fundraising mechanisms used by a given VEO. Our benchmark scales require raters to compare VEOs based on low novelty fundraising tactics (e.g., membership dues) versus high novelty fundraising tactics (e.g., looting artifacts from the ancient city of Palmyra and selling them). For the present effort, we compared each VEO in our sample longitudinally to assess changes in the creativity of tactics to secure resources. Before turning to these results, however, we would like to point out two additional findings concerning fundraising. First, the relationship between novelty in fundraising and an organization’s age tended to be inverse, which is to say that the longer the organization has been together, the less innovative their approach. The relationship is not linear, however, and organizations that have been together for approximately fifteen years are more innovative than those who have been together for ten years, but are less innovative than those which are relatively new (less than ten years). Second, the relationship between destructive fundraising tactics per monetary unit and an organization’s age approximates a U-curve, indicating that the newest groups tend to have moderately destructive fundraising techniques. The oldest groups largely employed non-destructive fundraising tactics, while those that have been together for roughly fifteen years employed the most destructive fundraising tactics. High LeT LeT relies very little on coercive or illegal methods to secure funds. Instead, LeT has established a stable infrastructure through an expansive network of private and public donors and charitable organizations. Low TTP TTP relies heavily on illegal activities to secure funds (e.g., drug trade, kidnapping, bank robberies). These funding streams may provide short-term success, but do not provide a long-term, sustainable funding solution. Organizations within the Jihadi Industry operate in a turbulent environment with immense competition over human capital, which is drawn to a Salafist Jihad ideology. In order to survive, VEOs must work toward creative goals and, more importantly, develop innovative ways to thrive in an unpredictable market. Tactical innovation or the extent to which VEOs “adopt news methods or means of violence13” provides one indicator of creativity and innovation. To illustrate VEOs capacity for tactical innovation, we conducted an exploratory factor analysis on the attack-level variables in our sample. A total of 1,441 attacks were coded yearly for each VEO in our sample and variables were explored using a principal component analysis (PCA) with varimax rotation. The PCA resulted in eight items loading on two different constructs. The first factor included three items pertaining to markers of originality and expertise. This factor was named Unique Proficiency and describes attacks that require expertise and are unique in terms of the weapons used and methods employed. The second factor included five items pertaining to complexity and physical infrastructural damage. This factor was named Attack Sophistication and is characterized by highly coordinated, well-executed attacks that often cause major infrastructural damage. The two factors were moderately correlated (r = .359, p < .01). 1) Unique Proficiency ranges from 3-13; Attack Sophistication ranges from 5-20. 2) Higher scores on both constructs indicate stronger performance. Each VEO’s average Unique Proficiency and Attack Sophistication scores were used to guide the VRIO analysis and act as a descriptive indicator of each organization’s capacity for tactical innovation. Above, Table 2 shows that there was relative consistency in each organization score across both measures. For example, Da’esh, Jabhat Fateh al-Sham, AQIM, and AQAP scored in the upper half on both Unique Proficiency and Attack Sophistication, while the Afghan Taliban, LeT, TTP, and Abu Sayyaf Group scored in the bottom half. Two groups, Al-Shabaab and Boko Haram, were less consistent, scoring highly on one construct, but not the other. Al-Shabaab rated second only to Jabhat Fateh al-Sham in Unique Proficiency, yet scored in the bottom half on Attack Sophistication. Boko Haram had the third highest average Attack Sophistication rating, but scored poorly on Unique Proficiency. 1) Higher scores on both constructs indicate stronger performance. 2) No transient webpages were found for LeT. To assess each VEO on these factors, we obtained scores on each factor across their cyber objects. Table 3 indicates that while Da’esh is the most sophisticated and holds the most capability for social interactivity, AQAP is a close second on all metrics. In addition, while Boko Haram scored high on social media interactivity, it appears that they leverage existing open architecture in predictable ways. Thus, they may not have the cyber capability to program or innovate similarly to Da’esh, AQAP, or al-Shabaab. Interestingly LeT and Taliban have the lowest cyber capabilities. The main contribution from this analysis is that our process for assessing differences in the innovation and social media interactivity of these 10 VEOs allowed us to array the Jihadi Industry VEOs in the present sample. This has implications for their capacity to recruit and share their messaging, raise funds, and execute command and control. The paper’s main findings indicate that leadership, organizational structure, and innovation vary across the Jihadi Industry, which has implications for how government resources should be allocated for monitoring and analysis. In addition, the findings highlight the need for additional research to determine advanced indicator and warning signals of which groups will emerge as the most strategically differentiated and capable of malevolent innovation in coming years. First, Da’esh leads the Jihadi Industry on all performance metrics, but they have been significantly degraded since 2014. Across leadership, organizational structure, marketing, attacks, and cyber capabilities, Da’esh outperformed each VEO in the present sample of the Jihadi Industry. However, since our last assessment of their human capital in 2014, the quality of leader talent and innovation of attack sophistication have diminished. Second, we developed a method to gather, quantify, and compare VEO cyber sophistication and social media interactivity, and this custom method statistically differentiated the ten VEOs in our sample. Most of the research to date on VEOs’ use of cyber has focused solely on descriptions of use of publicly-available social media platforms (e.g., Twitter, YouTube) or encrypted forums. Our contribution is that we systematically analyzed what cyber innovation means in the Jihadi Industry by assessing the underlying behaviors facilitated by their use of an array of platforms and web-based features. Finally, conflict between top management team members are related to lower organizational capabilities and less innovation. The clearest example of this in our dataset is that of the Afghan Taliban, who should be poised for high levels of performance given their strategic location, third party endorsement by al-Qaida Central leaders, and organizational age. Despite these resources, infighting among leaders and lack of clear leadership mission has resulted in a less capable organization. Conversely, organizations such as Jabhat Fateh al-Sham and Da’esh gain strength under the stewardship of a mix of pragmatic and ideological leaders working collaboratively toward organizational goals. These findings lead to the recommendations flowing from the present effort. First, monitor AQAP’s rebrand efforts in Yemen, as well as outreach to Foreign Terrorist Fighters abroad. Al-Qa’ida in the Arabian Peninsula (AQAP) has been the most capable AQ branch, and its marketing efforts indicate a pivot to focus on the social services it provides as well as the resilience of its organizational structure despite leader losses. Given the nexus of the state-sponsored groups, failed/ fragile state markers, and crime-laden territory of Yemen, this group is poised for a re-emergence by all indicators. In addition, the high degree of social interactivity on various AQAP cyber platforms raises warnings for their potential outreach to those capable of executing a large-scale, sophisticated attack outside their territory. Finally, focus strategic communication efforts and operational planning to denigrate VEO leadership. Success from efforts to degrade the Da’esh organization should highlight at least one practice to continue and increase: leadership targeting. While leadership targeting has mixed results, VEOs in our sample with the strongest cadre of leaders and a collaborative leadership team also have the most sophisticated attacks, cyber presence, and fundraising portfolio. Rather than focusing on the capacity of any one individual in a leadership position, it’s critical that policy makers focus strategic communications and planning on disrupting the organizational dynamics afforded by an adversary’s diverse and collaborative leadership team. Michael Logan is a third-year doctoral student in the School of Criminology and Criminal Justice at the University of Nebraska Omaha. He holds a master’s degree in criminal justice from Radford University and a bachelor’s degree in criminology from Lynchburg College. His research interests focus on the organizational structure and leadership of violent extremist organizations (VEOs), individual-level risk factors for participation in violent extremism, and far-left extremism more broadly. Michael has worked on projects funded by the Department of Homeland Security (DHS) and the National Consortium of Studies of Terrorism and Responses to Terrorism (START). Michael is currently working alongside Dr. Gina Ligon on the Leadership of the Extreme and Dangerous for Innovation Results (L.E.A.D.I.R.) database and research that explores markers of malevolent creativity and innovation among VEOs. He may be reached at mlogan@unomaha.edu. Gina Ligon is an Associate Professor of Management and Collaboration Science at the University of Nebraska at Omaha. She received her PhD in Industrial and Organizational Psychology with a Minor in Measurement and Statistics from the University of Oklahoma. She is a Principal Investigator at the National Consortium of Studies of Terrorism and Responses to Terrorism (START), examining the leadership and performance of transnational Violent Extremist Organizations (VEOs). Her research interests include profiling leaders from afar, violent ideological groups, expertise and leadership development, and collaboration management. She has published in the areas of leadership, innovation, and violent groups, and she is the Editor of the academic journal Dynamics of Asymmetric Conflict: Pathways toward Genocide and Terrorism. She may be reached at gligon@unomaha.edu. Douglas C. Derrick is an Associate Professor of IT Innovation at the University of Nebraska Omaha and received his PhD in Management Information Systems from the University of Arizona. He holds a Master’s degree in Computer Science from Texas A&M University and a Master’s degree in Business of Administration from San Jose State University. He is a Distinguished Graduate (top 6%) from the United States Air Force Academy. His research interests include innovation, human-agent interactions, intelligent agents, decision support systems, and persuasive technology. Prior to joining UNO, Dr. Derrick worked as a Program Manager at MacAulay-Brown, Inc. and also served as an Air Force Officer. He has extensive experience as a DoD contractor, and he has been awarded contracts and grants from the Department of Defense, the National Science Foundation, and the Department of Homeland Security. Doug has published in journals and conferences including: Journal of Management Information Systems, IEEE Intelligent Systems, AIS Transactions on Human-Computer Interactions, Group Decision and Negotiation, Hawaii International Conference on System Sciences, IEEE International Conference on Intelligence and Security Informatics and IEEE International Carnahan Conference on Security Technology. He may be reached at dcderrick@unomaha.edu. 1 V. Asal, and R.K. Rethemeyer, “The Nature of the Beast: Organizational Structures and the Lethality of Terrorist Attacks,” The Journal of Politics, 70, no.2, (2008):437-449; A.N.Celso, “Al Qaeda’s Post–9/11 Organizational Structure and Strategy: The Role of Islamist Regional Affiliates, “ Mediterranean Quarterly 23, no.2, (2012):30-41; M.Crenshaw, “The Causes of Terrorism,” Comparative Politics, 13, no.4, (1981):379-399; J.Jung and J.Lee, “Organizational Behavior of Terrorist Groups,” Journal of Public Administration and Governance, 5, no.2, (2015): 62-77; G.S. Ligon, M. Harms, and D.C Derrick, “Lethal Brands: How VEOs Build Reputations, “Journal of Strategic Security 8 no.1, 27; B.Mendelsohn, The al-Qaeda Franchise: The Expansion of al-Qaeda and Its Consequences, (New York: Oxford University Press, 2016); J.N. Shapiro, The Terrorist’s Dilemma: Managing Violent Covert Organizations, (Princeton, NJ: Princeton University Press, 2013). 2 See Ligon, et al., “Putting the “O” in VEOs: What Makes An Organization?” Dynamics of Asymmetric Conflict, 6, no.1,(2013): 110-134. 3 A VRIO analysis is an acronym for a four-question framework used to determine the competitive potential of a resource or capability in terms of whether it is valuable, rare, easy/difficult to imitate, and susceptible to exploitation by the organization. G.Ligon, S.Hunter, and D.Harris, “Quantifying Leader Lives: What Historiometric Approaches Can Tell Us,” The Leadership Quarterly 23, 1104-1133. 5 G. Ligon, M. Harms, and D.Harris, Leadership of the Extreme and Dangerous for Innovative Results, Project completed for the START consortium. 6 G.Ligon, et al., Organizational Determinants of Violence and Performance: Introducing the START L.E.A.D.I.R. (2013) Study and Dataset. Project completed for the START consortium; G.Ligon, M.Harms, and D.Harris, Leadership of the Extreme and Dangerous for Innovative Results. (2014) Project completed for the START consortium; G. Ligon, et al., The Jihadi Industry: Assessing the Organizational, Leadership, and Cyber Profiles, (2017) Project completed for the START consortium. 7 We assessed each attack for elements of sophistication such as 1) degree of coordination required, 2) amount of technical expertise needed, 3) symbolic nature of the target, and 4) amount of destruction to people, processes, property, and/or symbols of the target. 8 J. Barney, “Firm Resources and Sustained Competitive Advantage,” Journal of Management, 17, 99-120. 9 A.Y. Zelin, “Picture or It Didn’t Happen: A Snapshot of the Islamic State’s Official Media Output, “ Perspectives on Terrorism 9 no.4, Advance online publication retrieved from http://www.terrorismanalysts.com/pt/index.php/pot/article/view/445/html. ISSN 2334-3745. 10 S. Gates and S. Podder, “Social Media, Recruitment, Allegiance and the Islamic State,” Perspectives on Terrorism 9 no.4, Advance online publication retrieved from http://www.terrorismanalysts.com/pt/index.php/pot/article/view/446/html. ISSN 2334-3745. 11 D.C. Derrick et. al., “Ideological Rationality: A Cyber Profile of ISIL, “ Dynamics of Asymmetric Conflict Journal 9, no.1 (2016): 57-81. 12 C.S. Chivvis and A. Liepman, “North Africa’s Menace: AQIM’s Evolution and the U.S. Policy Response, ” RAND Corporation. 13 P. Gill et al., “Malevolent Creativity in Terrorist Organizations, “. The Journal of Creative Behavior, 47 no.2, (2013):125-151. 14 The factor analysis and bivariate correlation results for the “cyber sophistication and interactivity” section are available upon request from the first author. Copyright © 2017 by the author(s). Homeland Security Affairs is an academic journal available free of charge to individuals and institutions. Because the purpose of this publication is the widest possible dissemination of knowledge, copies of this journal and the articles contained herein may be printed or downloaded and redistributed for personal, research or educational purposes free of charge and without permission. Any commercial use of Homeland Security Affairs or the articles published herein is expressly prohibited without the written consent of the copyright holder. The copyright of all articles published in Homeland Security Affairs rests with the author(s) of the article. Homeland Security Affairs is the online journal of the Naval Postgraduate School Center for Homeland Defense and Security (CHDS). An interesting article. For a broader, related perspective readers might find my recent book, “Marginal Organizations: Analyzing Organizations at the Edge of Society’s Mainstream” (Palgrave/Macmillan, 2014) of interest. 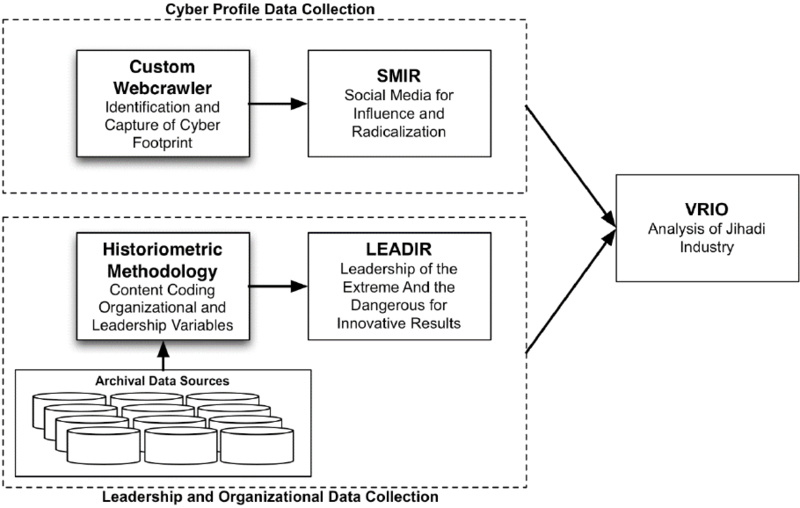 In it I apply existing and new theoretical models and methodological approaches to criminal and terrorist organizations to demonstrate their unique position and role in societies vis a vis mainstream organizations. Thank you! We will get this book. Sounds really interesting.